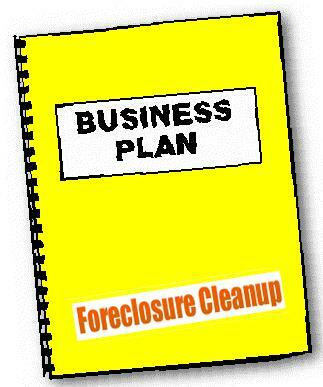 The Foreclosure Cleanup Business Plan Guide is a simple, straight-forward guide for writing a business plan for your foreclosure cleanup business. Resources within will guide you to sample business plans and complete, "fill-in-the-blank" shells for creating a winning plan. Need a Business Plan to Get a Bank Loan or Other Financing for Your Business, Or Just for In-house Use? Whether you are seeking to write a business plan for in-house purposes or to use as a tool to seek financing to start or grow your foreclosure cleanup business, this straight-forward tool will guide you seamlessly in the right direction. Product Description: 12 Simpe, Easy, Straightforward Pages, PDF, Instant Download For more foreclosure cleanup business products, visit the Foreclosure Cleanup bookstore.